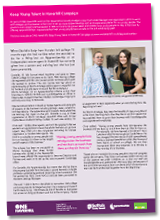 The position of a Youth Skills Manager was set up by ONE Haverhill Partnership in 2013 as a direct response to the community agreeing young people in the town deserved better opportunities and more support in looking for jobs. The Youth Skills Manager, Karen Chapple, was tasked to work with local businesses and to help encourage the growth of employment opportunities in town. 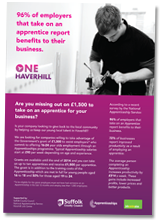 "If more Haverhill firms took on an apprentice it would grow the local economy, getting more young people into jobs and helping Haverhill become a better place to live." 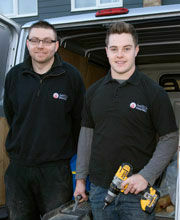 Local businesses would be informed about the apprenticeship scheme and encouraged to take on a young local apprentice. Businesses would be supported throughout the process and help to simplify the scheme making it less time consuming and a more attractive option to employ local talent. A target of 10 new opportunities for apprentices to be created was set for the first year. At the end of that first year (September 2013-September 2014), 50 opportunities had been created. The second year brought 51 opportunities and in total, we have created 119 opportunities. Of these opportunities, 86 have been filled by young people employed as apprentices - while 48 of these were matched by the service we offer. It was clear that spending time on this part of the role bought about clear, measurable advantages to the young people of Haverhill. In keeping with our partnership ethos, good relationships have been formed with schools, Further Education colleges, training providers, services, businesses, Job Centre Plus and young people themselves. 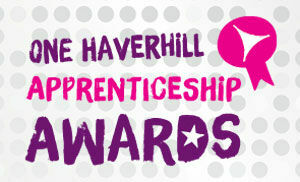 If you are an employer or a young person who would like further details on Apprenticeship opportunities in Haverhill or the Government's Apprenticeship grant, please contact Youth Skills Manager - Karen Chapple for an informal chat. *To be eligible for the grant employers must not have had someone on an Apprenticeship in the last 12 months and employ less than 1,000 employees.